Put your book in front of readers that are looking for steamy books! You can promote your steam level 3-5 steamy romance and erotica books directly to our subscribers and website visitors. Our subscriber list grows daily because of the large number of new visitors to our site who opt into our list. Every subscriber has chosen to be on the list because they’re interested in romance and erotica books. For more information on our site stats, please check out Our Site Reach page. Our audience is passionately interested in romance and erotica books. As a result, an average of 25% of the subscribers open our emails *and click on links in it* every day. Our list grows everyday, so your ad will be shown to new people all the time. Your ad will appear on our Home Page every day for the number of days you choose. Multiple social media posts to several genre specific social media accounts across Facebook, Twitter, Pinterest and Google+. The number of clicks on the links in our newsletter increases over the course of the week. For example, if an email is sent on Monday, it will still be generating clicks on Friday. This tells us that people hold onto the newsletter and open it when they can, even if it’s days after sending. Your ad will live on in the reader email archive, which is accessible from the top of each e-mail. In addition to allowing people to see your ad in older versions, this link also allows people to share the email content with others. Our social and email reach is to over 40,000 rabid readers of specifically steamy romance and erotica books. This is for communication purposes only and will not be shared. This is needs to be the email address that the PayPal payment will come from. If this isn't correct we won't know if you paid. Include in the description if your book is free or reduced price during the weeks that it is featured. No links are allowed in this section. Name your book cover image with the name of your book - but with no spaces. If you do not name your image correctly the wrong cover may display with your book. Please choose a date more than 3 business days from today. This is found on your Amazon book detail page with the number of pages, publisher and other information about your book. No shortcodes or affiliate links allowed. Please use direct to a site other than Amazon if you have it elsewhere at the same price.. Choose your heat/steam level based on the guidelines on this page: Steam Levels Explained - this link will open in a new window. If your book is a Steam Level 1 or 2 the readers on our site are probably not interested. You should head over to Romance Hideaway to post your book instead. Is Your Book for sale, short term free promotion or permafree? Maximum of 10 tags, separated by commas. Inappropriate tags or more than 10 will be deleted. Feature your book cover on the Steamy Home Page and your book in our newsletter and social media. Social media is repeated with multiple week features! Save over $100 with the 12 week ad option. 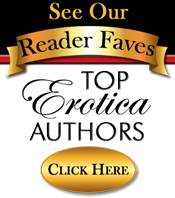 This authors newsletter is run for all the BookGoodies network sites to let authors know about new promotional opportunities across all the network sites. If you are already subscribed it won't add you again. *THIS IS NOT A REGISTRATION FOR MEMBERSHIP FOR THIS SITE*.